There are so many elements that make the biker lifestyle so appealing. Mostly, it’s the little things. It’s a culture of fun, family, and recognizing the value of the important stuff that directly affects your life. It’s a brotherhood (and sisterhood) that bonds us from generation to generation. Whether it’s a nod and a wave to a fellow biker that we pass on the road, the decency to hold a door, or saying “sorry, my bad” when you accidentally bump into each other on a crowded street. It’s a simple way of life that has its roots in the most core ideals of decent humanity. 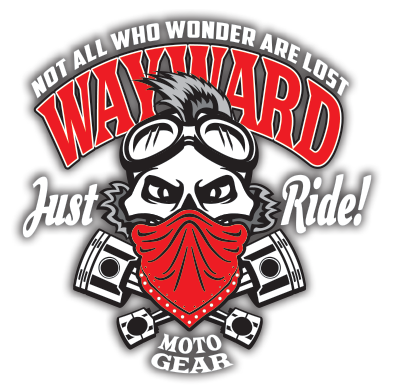 Wayward Moto Gear is owned and run by bikers. We create products for bikers. Comfortable motorcycle t-shirts that fit so soft that you will hate to take them off. No heavy, hot, stiff t-shirts to be found here. We want our shirts to be the ones you reach for every day. We started this company because we believe that bikers deserve an affordable alternative to the mass produced, uncomfortable “over-blinged” motorcycle gear that you see at every bike rally from coast to coast. Give us a try and see how quickly our shirts become the favorite ones you have in your drawer.